We explore the past to illuminate the future through excavation, education and preservation. Don’t miss two opportunities to hear Dr. Tom Dillehay ! He will be speaking twice in Vero Beach on March 30, 2019 - two different presentations at two locations. The Mapuche are indigenous people of Chile, Agentina, and Patagonia who make up 80% of the indigenous population in Chili. They are agriculturists with a complex cosmology and religious system and long history of struggle to maintain their cultural heritage and identity.They are the only undefeated indigenous people in South America today, having maintained their independence for over 300 years. 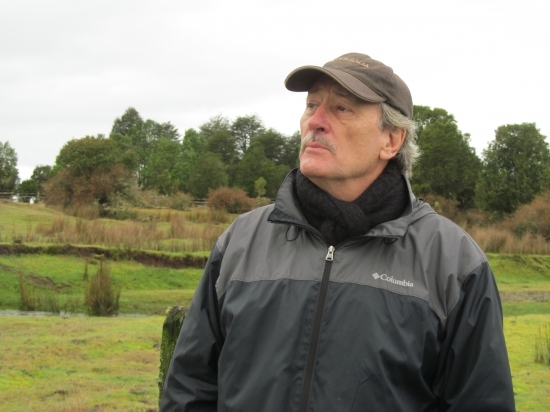 Dr. Dillehay is Rebecca Webb Wilson University Distinguished Professor of Anthropology, Religion, and Culture, and Distinguished Professor of Anthropology and Latin American Studies in the Department of Anthropology at Vanderbuilt University, and has studied the Mapuche for 30 years. His talk will focus on the challenges to their traditional culture, commitment to their cosmology and life styles, and the impact of modernization and globalization. Their mounds are a key component to their cultural survival along with their relationship to the land. Did the earliest people living in the Americas arrive on foot following herds of big game animals across the Bering strait into North America ? Or might they have come by sea, navigating down the Pacific coast ? Were these earliest people the Clovis people ? An archaeological site in southern Chili, Monte Verde, has changed our understanding of how and when the first Americas arrived, and helped confirm that Clovis culture does not represent the earliest inhabitants of the Americas. Archaeologist Dr. Tom Dillehay began excavating at Monte Verde in 1977 and conducted studies there for more than 25 years. He will be speaking on evidence indicating people lived in communities a thousand years before Clovis culture and thousands of miles south of Vero. You won’t want to miss this fascinating talk by a major contributor to the field of the earliest Americans. We are currently in the planning stages of our participation in the Vero Beach Centennial Celebration in Early 2019. CHARLOTTE TERRY REAL ESTATE GROUP OF ALEX MACWILLIAM, INC.